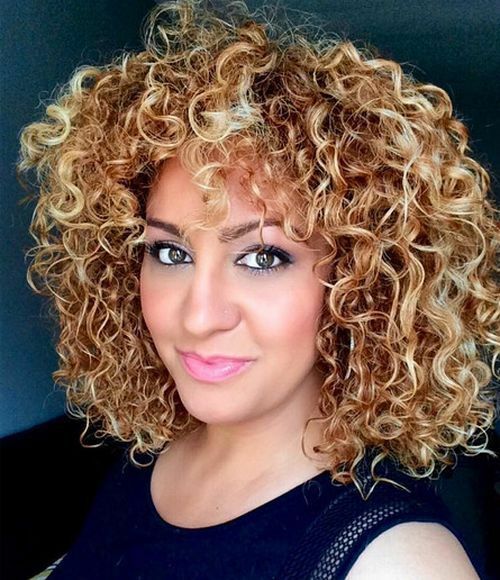 Own By Femme - BEAUTY: MY BLONDE HAIR JOURNEY WITH CLAIROL PROFESSIONAL! As I prepared to colour my hair, I first looked online for several colour inspiration images so I could have a visual idea handy of the colour I wanted to achieve. 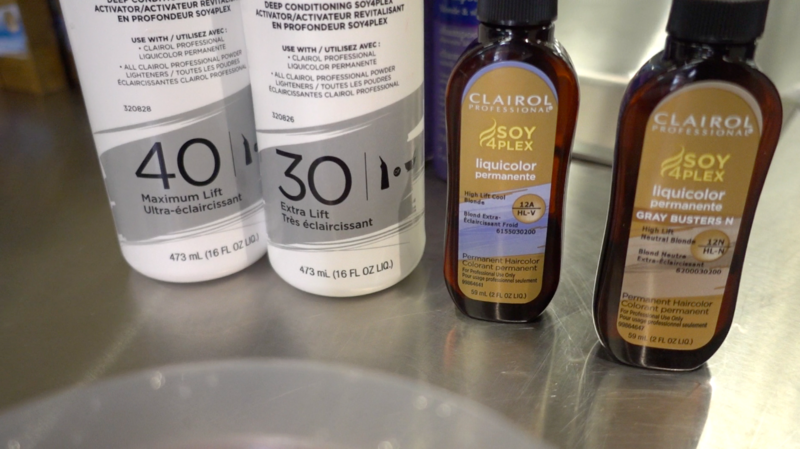 Although the Clairol Professional hair dye is easy to use at home, if you are going to go to a stylist or have a friend help you, show them a few photos so they know what you do and do not want! 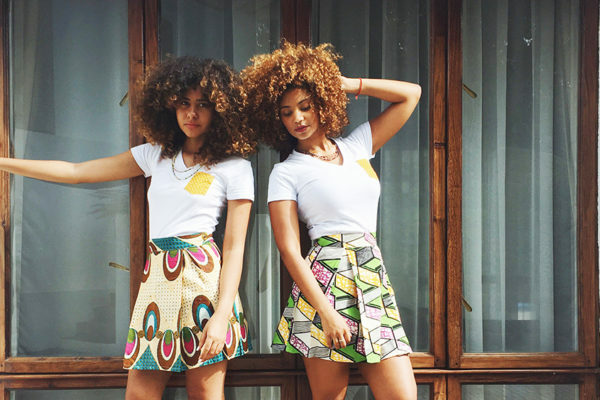 The curl pattern on these two beautiful blonde bombshells differs to mine but I definitely knew I wanted these shades of blonde! For me to achieve a colour similar to this look, I would first need to dye my roots. I had waited way too long between colouring so there were over 6 inches of new growth! 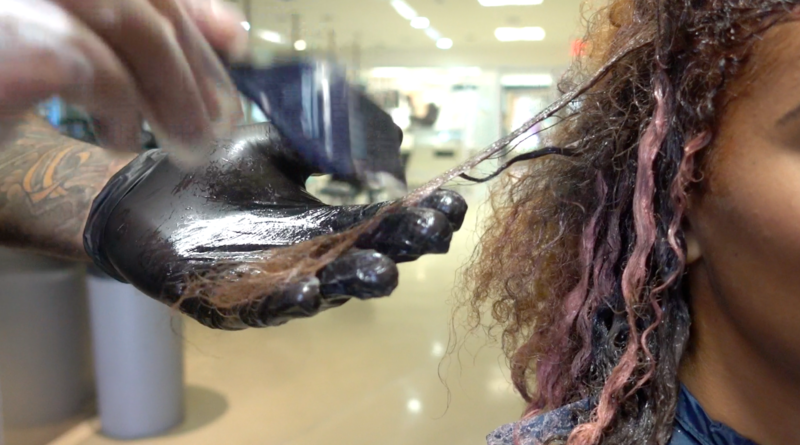 As a tip, you really don’t want to go over 2 inches of new growth between colour sessions. Next I would need to add my highlight and then cover the remaining parts of my hair with a lighter base colour. If you don’t want to do a lighter base colour and you just want highlights, then you can skip that step! 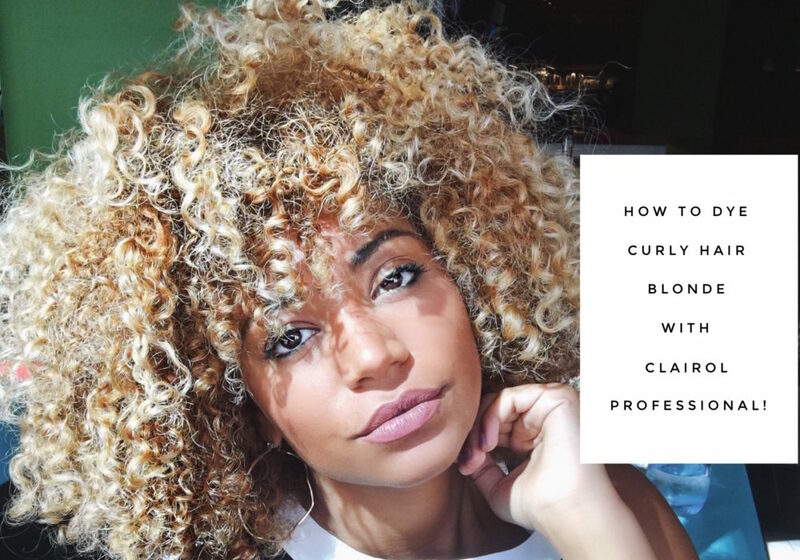 Before using the Clairol Professional Blonde hair colour products, I asked the Clairol Professional team a few questions! Here’s what they had to say! 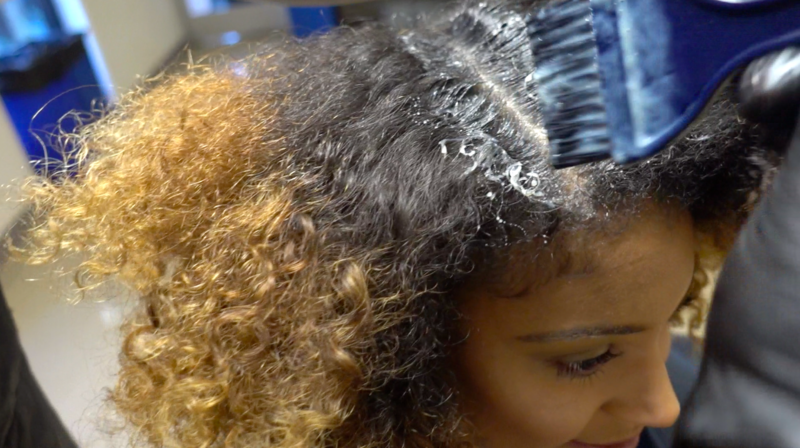 Will this hair colourant cause breakage or dryness? Our stylist, Oliver Adams, is a very experienced, skilled colorist who will use a very gentle coloring process. Our Clairol Professional liquicolor permanente (permanent liquid color); creme permanente (permanent cream color); and creme demi-permanente (demi-permanent cream color) are formulated using Soy 4 Plex technology. This technology harnesses the power of soy to nourish the hair and prevent damage. 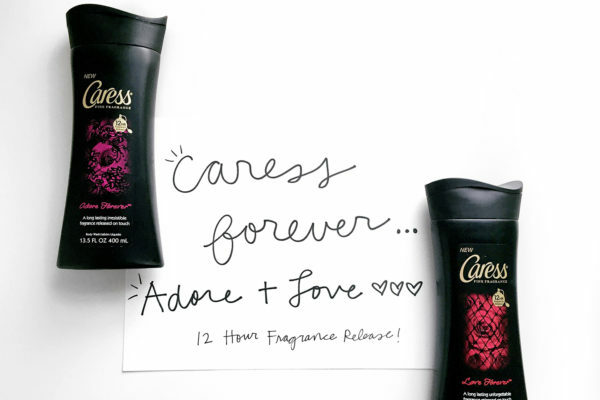 How do the after care products work to keep your hair color vibrant? 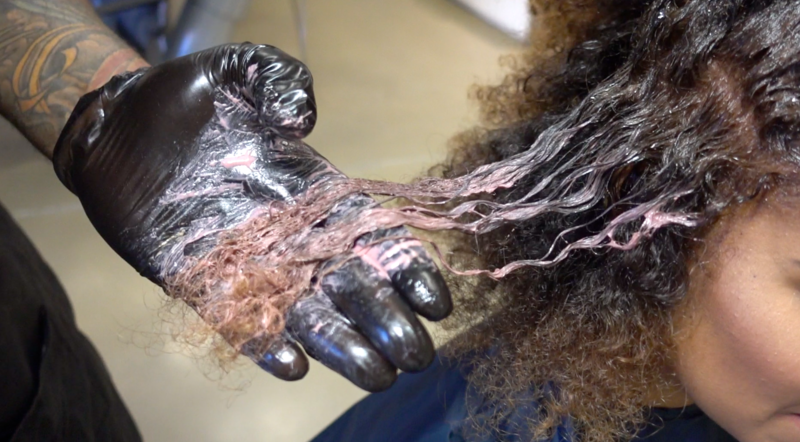 Our iThrive Keratin Rescue line, which includes a shampoo, conditioner, Split End Repair, and treatment will help strengthen and condition the hair. By keeping it conditioned, you’ll ultimately keep the color vibrant! 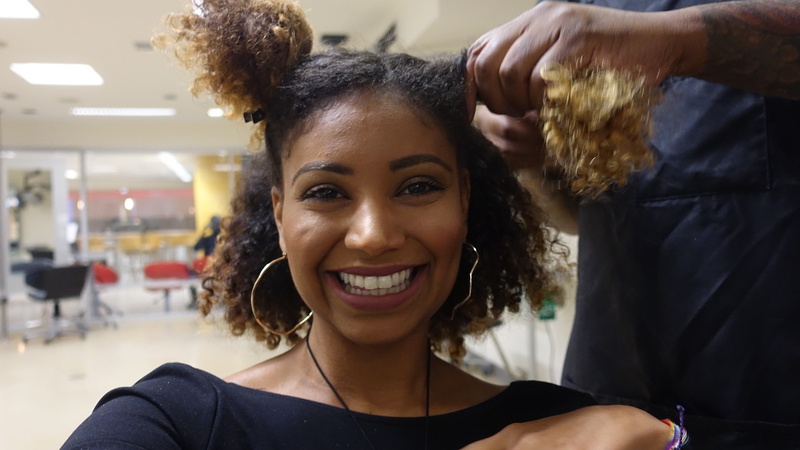 Strengthening the hair also allows it to hold the curl and texture. 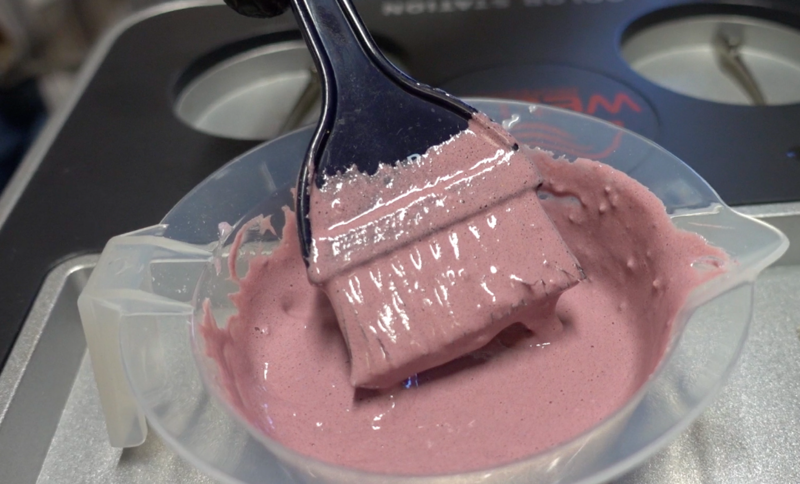 Are there any key ingredients that make Clairol Professionals hair dyes better than others on the market? In addition to our Soy 4 Plex technology: Clairol Professional offers the full portfolio of products that someone might need to lighten their hair. These products include our liquicolor permanente, creme demi-permanente, creme permanente, Basic White Powder Lightener, Extra-Strength BW2 Powder Lightener, Kaleidocolors Tonal Powder Lightener, 7th Stage Creme Hair Lightener. 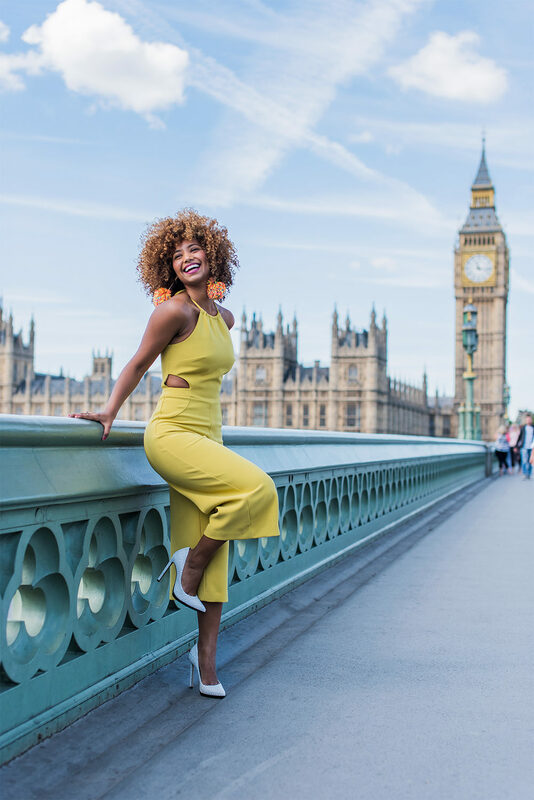 Lightening your hair can be a process – not an arduous one – but it is a process, and we make it easy to achieve your desired look. All of the following products and tools can be found at your local beauty supply store such as Sally’s. To make the process easier, first detangle your hair and separate it into four manageable sections. This will help you be more organized in applying the colour. If you are not going to dye your roots or base colour then you can skip to the highlight! If you are going to go full blonde, then let’s get started! Here we are focusing on the roots. 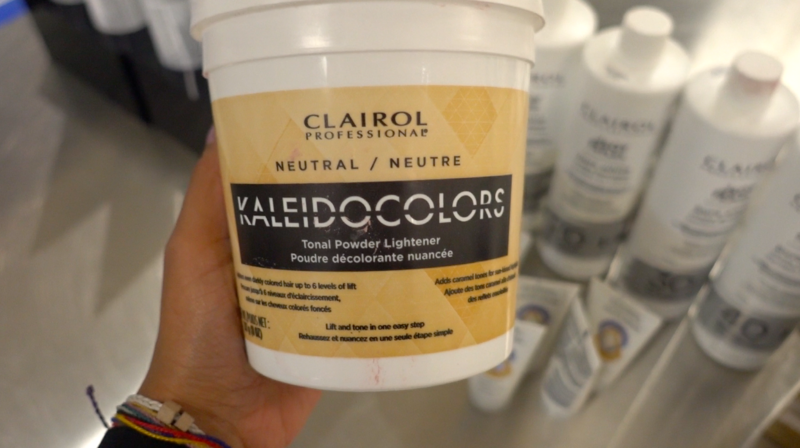 Take the Clairol LiquiColor shade 8N and mix it with the 20 Volume Developer in equal parts. Make enough of the mix to cover all of your roots up to about an inch and a half. Once the mix is prepped start applying it immediately! Because we are using a 20 Volume Developer, the processing time will take longer allowing you to add the highlights at this time. Once you have done the roots, mix 4 level scoops of Kaleidocolors with 2 oz of the 20 Volume developer. Stir the dye until it reaches the consistency of pancake mix. For more visible highlights take thicker chunks of hair and apply the highlight from about an inch and a half away from the root until the tip. 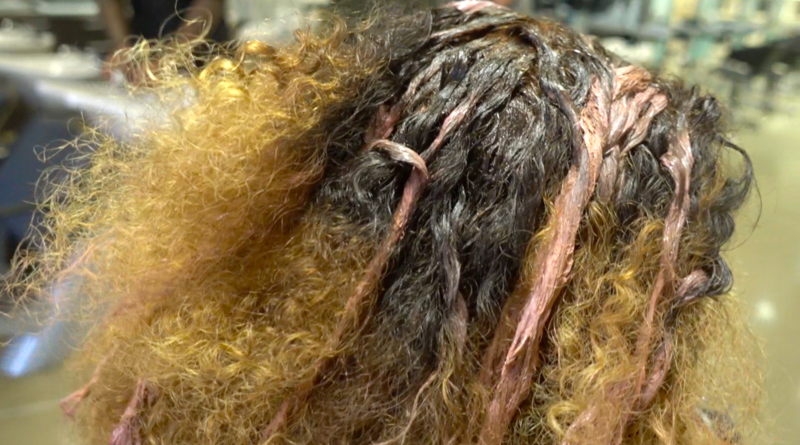 Then cover the highlighted hair in cellophane wrap to keep it separated. When applying the highlights, really focus on framing the face, taking pieces from the top and middle sections, leaving the very back, around the neck area, uncoloured. I added a few more chunks after this. The more you highlight the more blonde you will look. I didn’t use cellophane wraps because I was working with a stylist but I recommend you do if you’re at home! To lighten my over all base colour, I mixed Clairol LiquiColor shade 12N + shade 12A in equal parts with 30 + 40 Volume developer. I used the mix all over my hair where the root mix and highlighter were not applied. It can be tricky to keep the highlights separated from the base colour if you don’t use the cellophane so definitely use the cellophane! Because we are using the volume 30 + 40 developer, the hair will take the colour much faster than it takes the highlighter and the root colour. 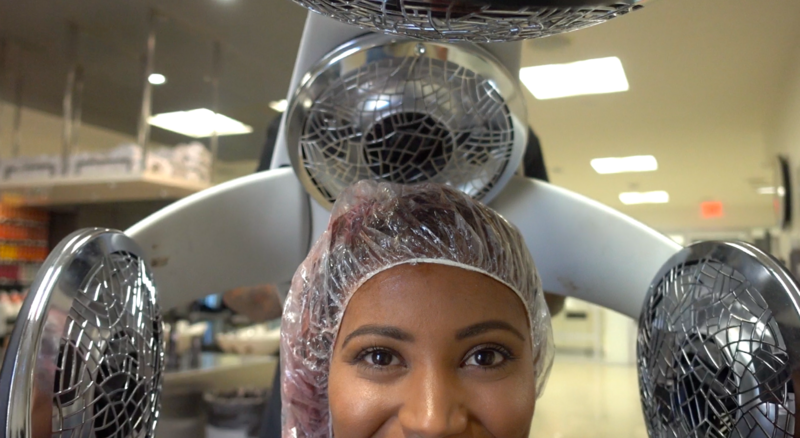 Sit under a dryer for 15 minutes! Once your hair has finished processing, wash out the colour using the Clairol Shimmering Lights Shampoo and Conditioner. Sometimes, as blonde hair absorbs the nutrients from hair oils it can start to gain more pigment.The Shimmering Lights purple shampoo will keep your hair from turning brassy or orange after going blonde. To style, I used the Clairol Professional iThrive line and a diffuser on cool air. Watch my full step by step tutorial below ! 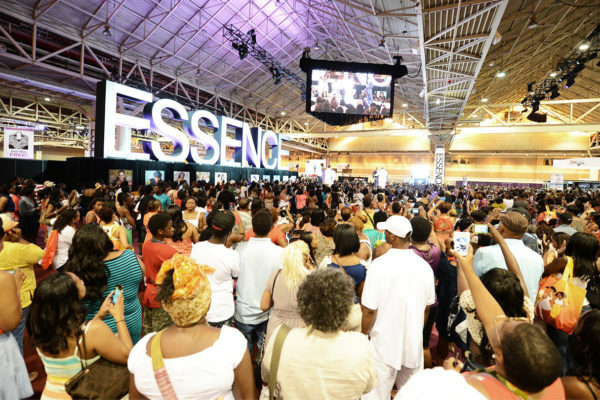 This blog is in partnership with Clairol Professionals but all thoughts are mine! PREVIOUSBEAUTY: MY VISIT TO GIVAUDAN & THE SOUTH OF FRANCE WITH @CARESS! I love this color on you. You look fabulous.